I alternated the paper pieced blocks with 8 1/2 inch squares of low volume fabric… using mainly fabrics that had been used in the star blocks. 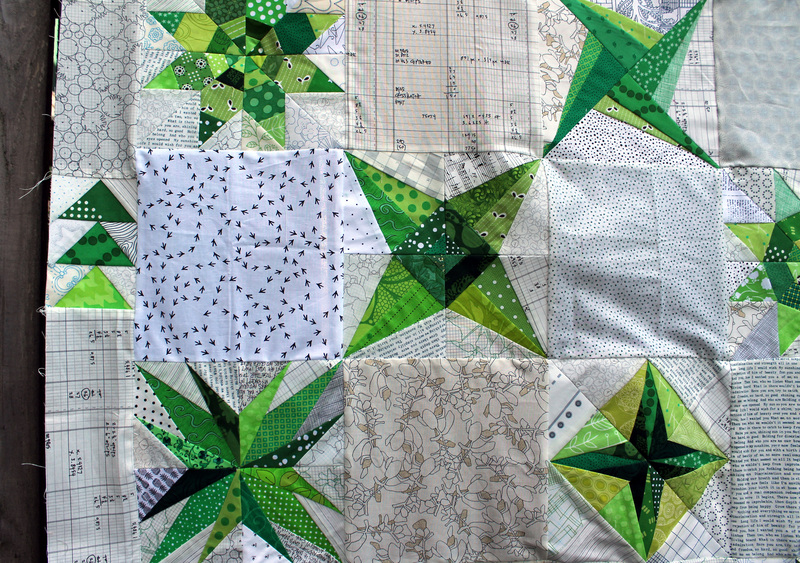 When I had sewn all the stars and low volume blocks together I realized the quilt needed a border of some sort. 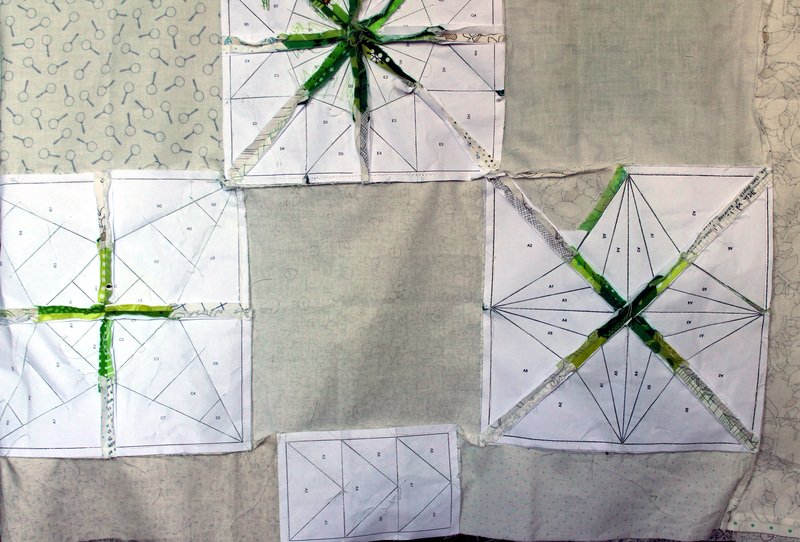 I ended up making four flying geese blocks and interspersed them within the 3 inch border. I love how the border and those geese bring the whole quilt together. To celebrate finishing this quilt I thought I would do a little giveaway. 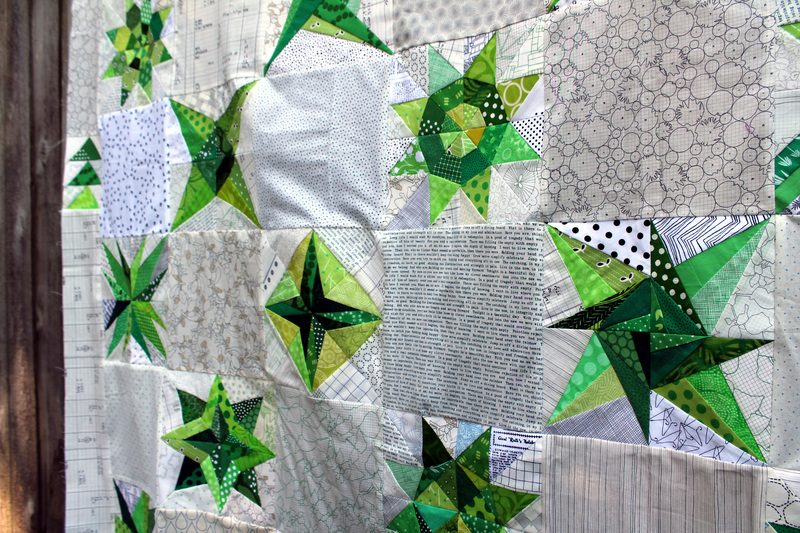 Up for grabs is this 18 fat eight cuts of fabric so you can make your own green star blocks – 12 different greens and 6 different low volumes. If you would like to win just leave a comment on this post and we will pick a winner on Monday. As always I am happy to post overseas. THE COMPETiTION IS NOW CLOSED. Thanks. This is such a generous offering. Your blocks have kept me mesmerized. I love the flying geese in the border! Thanks for the chance to win! I love your work! Always beautiful. I don’t have much green so would love this bundle! Not only do I love your green stars but also the cute low volume background ( love the little coat hangers and bird tracks). Thanks for the chance to win some more green fabric (my sons fav colour). Seriously depleted my greens on a quilt made for him recently. I’ve found that Green is possibly one of the most difficult colours to agree on and use and this project has been a revelation. I’ve followed these stars from week one and am using some of the patterns 6 times, but all with different combinations of fabric to make a king size quilt. The flying gees border is a great idea and may also be used when I finally get to that point! Thank you for sharing so much and challenging me to be more creative and experimental. Thank you for inspiring me to try paper piecing. Being a costume designer, the tiny triangles can freak me out. And I loved visiting Portland last June. Such a pretty quilt. I really like those flying geese in the border. Nice work! Hope I’m not too late! Love the quilt, lovely greens. I really enjoy your blog and want to say thank you for the paper piecing patterns! I’ve made some blocks ad they turn out beautifully! I love the green stars. 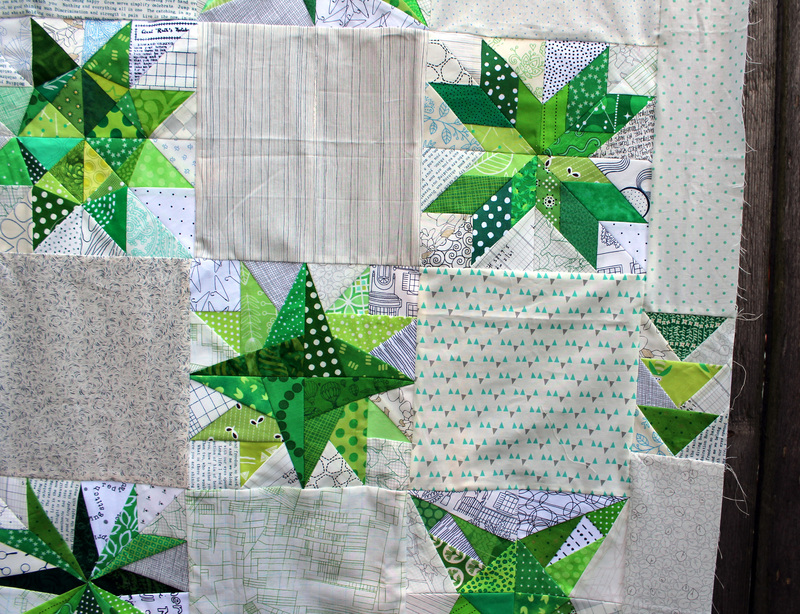 This has been so fun to watch you make – I so admire your perseverance, and this quilt has turned out beautifully!!! 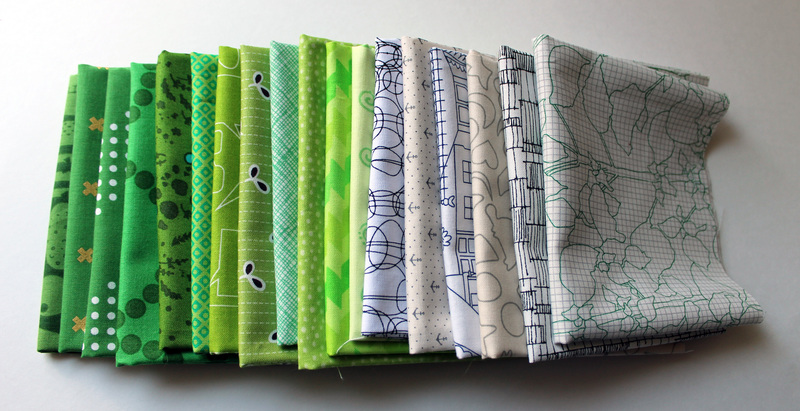 Greens are my newest color passion and these fabrics would please me greatly! The quilt top is beautiful, thank you for sharing. 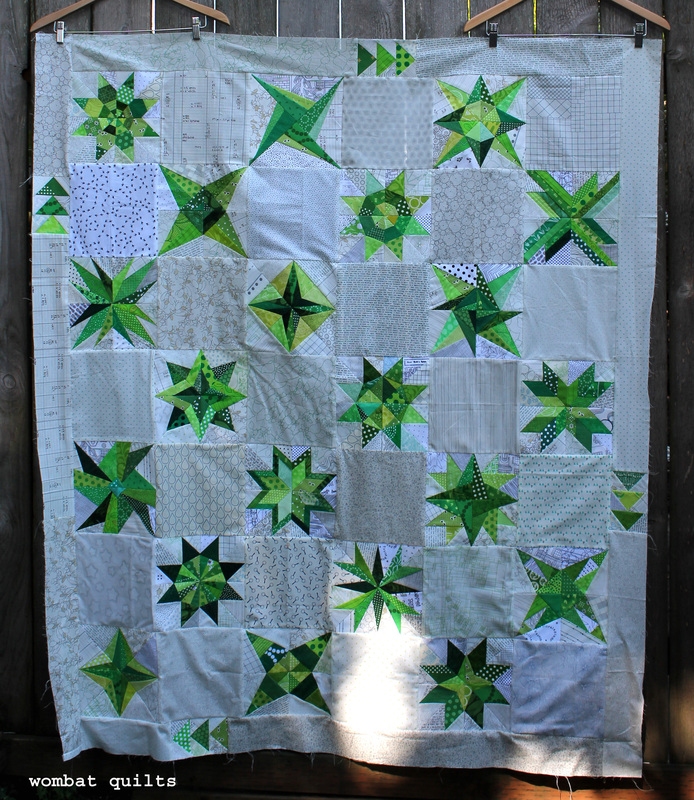 I just love your stars and how this quilt turned out!!! Gorgeous!!! Love the quilt – as always!